My dream goal as an athlete is to be THE BEST running back that ever stepped foot in the NFL. When I retire from the NFL I want to go on to be a sports anouncer so that way I can still enjoy the game of football and sports even if I’m not playing. 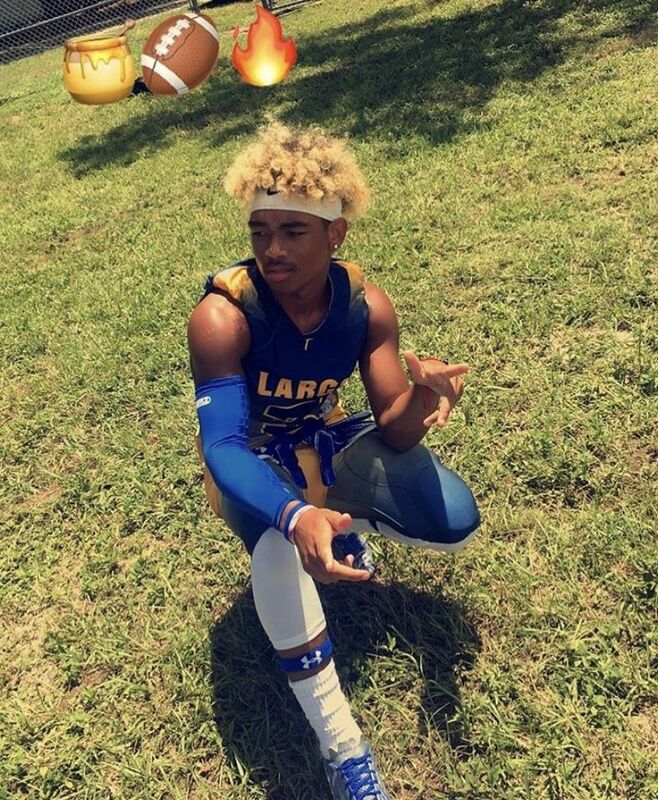 I started playing football when I was 11 years old, my first 3 years of football I didn’t do so well I only had 4 touchdowns out of 3 years playing. But then again I have to constantly remind myself no other team really gave me a chance to be the star I can be. 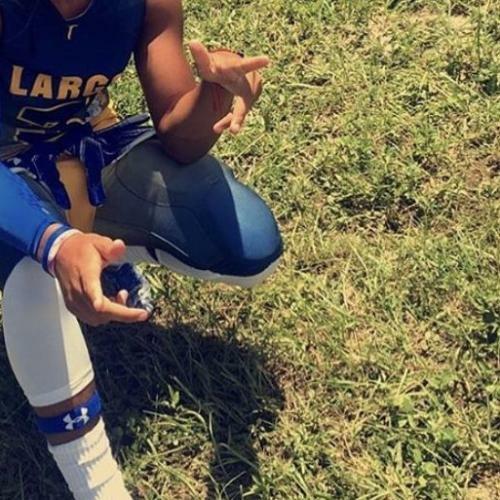 Me going to largo was the best decision I could make for football because this season I have racked up 24 touchdowns,over 1,000 rushing yards, 4 interceptions, 2 pick 6’s, 1 kick return, 1 punt return, and over 15 tackles coming from a safety. I have also won MVP of the conference, I have been recognized by Alex Mattison and former Green Bay packer Marquez Valdes-Scantling. They both have told me that I am doing a tremendous job as a football and I just have to continue being a dog on the field and without a question I would be on the next level. I received my first college academic scholarship at 14 years old along with outstanding character,and #1 student.